Castelli, in addition to Louis Garneau and Pearlizumi, is one of the more familiar cycling clothing brands throughout the United States. Currently, the American based UCI Pro Team Garmin-Sharp is the most successful professional cycling team wearing Castelli product. Garmin-Sharp is the team of the 2012 Giro d' Italia Champion, Ryder Hesjedal, and the 2011 Paris-Roubaix winner, Johan Vansummeren. Hesjedal, Vansummeren, and the remainder of Team Garmin-Sharp have been sheltered by their Castelli clothing throughout the early season classics and stage races in Europe which experienced horrendous weather conditions. Personally, one of the great Castelli products which I have used is their CW 4.0 WS Glove which is well-versed in cold and dry, as well as cold and wet weather conditions. Castelli claims that this glove is best used within the temperature range of 41-53.6 degress Fahrenheit. However, the glove seems to hold up just fine in slightly cooler weather conditions that include wind. The outer shell, which includes a Gore Wind Stopper material, is adequate for keeping the cold out and the warm in. Also on the outside, the palm is constructed with a shock absorbing rubber layer in select places. The rubber layer also provides an extraordinary amount of grip. Inside of the glove is Thinsulate Insulation and a fleece lining at the cuff. The strong points of this particular Castelli glove are many, while the negatives number very few. The main downside of the Castelli CW 4.0 WS Glove is the dexterity which it provides. Having great dexterity is essential while cycling. At times, the glove feels bulky, similar to a snow glove, and it is quite difficult to reach into a jersey pocket and grab a quick bite of food when necessary. However, the slightly bulkier feel allows for constant fingertip feeling in frigid conditions which is far better than reaching into a jersey pocket without being able to feel your hands. I have found that the glove is well suited for longer road descents when it is imperative to keep your hands warm but it is not ideal for mountain biking which demands quite a bit more control at all times. Overall, I enjoy the Castelli CW 4.0 WS Glove very much and will continue to use it as necessary. Castelli has done a fantastic job with the design of this product, in addition to many other products. Castelli has recently received large amounts of praise for their Gabba Jersey. The Gabba Jersey is known for being aerodynamic but also water repellent which has caused many non-Castelli sponsored UCI Pro Teams to wear the jersey, unmarked. Teams are concerned with being sponsor correct now-a-days but many could not stay away from this ground-breaking article of clothing. 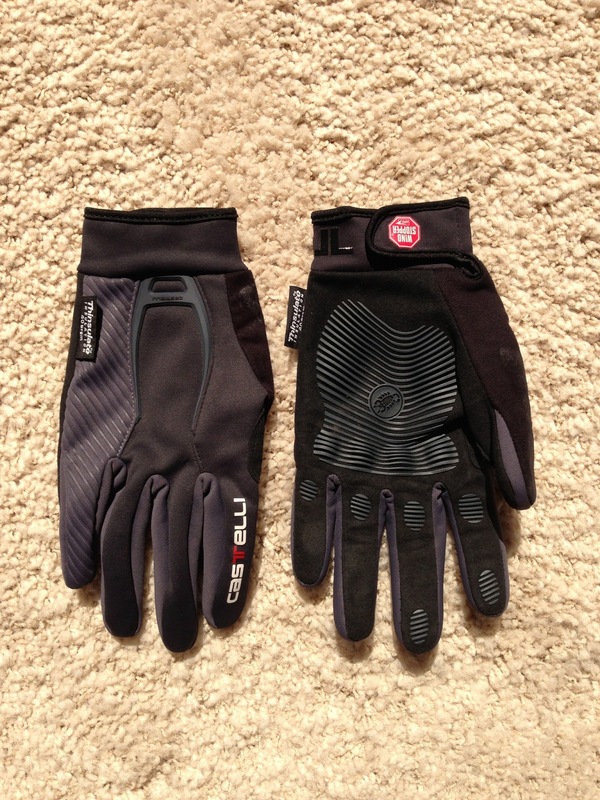 Thank you for reading and I hope you enjoyed my product review of the Castelli CW 4.0 WS Glove. Be sure to keep it mind when you are shopping for winter cycling clothing later this year. Stay tuned for more product reviews soon.